Anyone who knows me know how much I love to bake! But I don’t let a recipe tell me what and what not to do. It all depends on what I have on hand! So I wanted to make cupcakes, I had chocolate icing in the fridge and cupcake liners in the pantry! 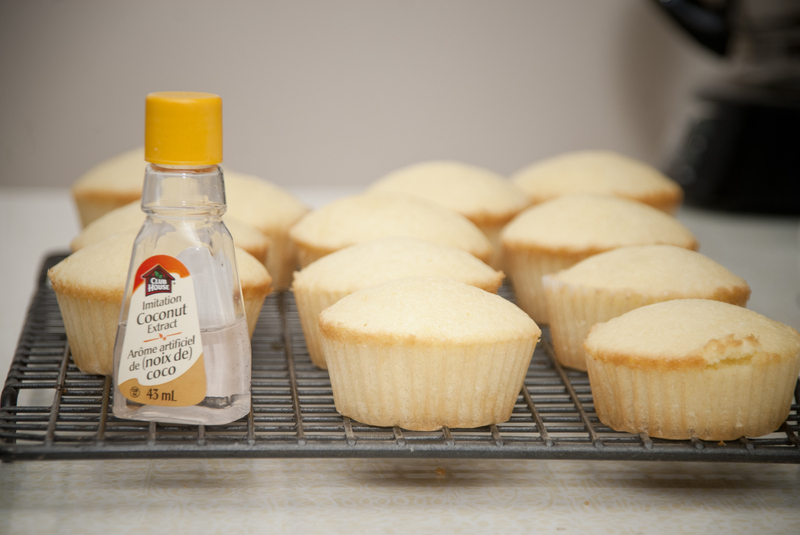 But what I didn’t have was milk or vanilla….or any cocoa for chocolate cupcakes. Thought I would get creative, and I am so glad that I did. I think I have found my favourite new cupcake! The batter was so yummy! Tasted like a bright sunny day 🙂 Now I had to make them look like they tasted. 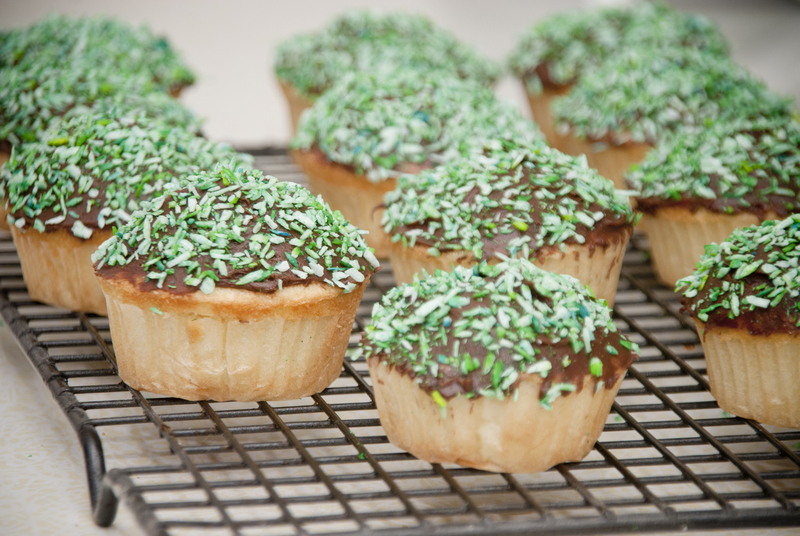 I had chocolate icing, so I needed something that would compliment the brown…..something green! I tossed some shredded coconut in blue and yellow food colouring to give it a sort of tropical look. These are so yummy! I am bringing them to the music studio for the students. Wonder how long they will last?